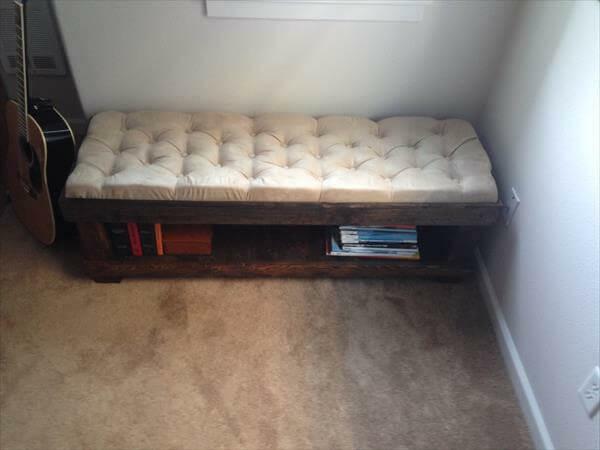 Crafting work with pallet wood can be done to any style and trend just like this DIY pallet tufted bench which will serve you for seating wherever you will be needed. 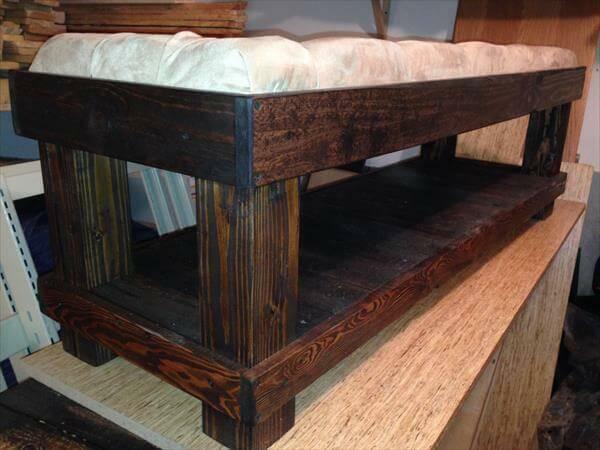 These pieces of pallet furniture is very unique and dutiful and is much handy to be prepared at home. We have framed the pallet wood after dismantling and cutting in such a way that structural formulation came up with a nice storage utility. 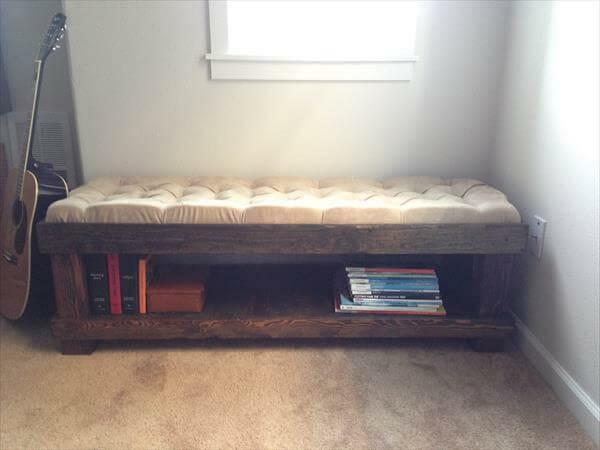 You can use the lower panel of this bench as DIY pallet shoe rack and it will work also great for storage of books. Berth has been made tufted to be perfect and comfort giving while sitting on it. We have stained the pallet frame and boundaries with minwax stain which is popular for dark wooden effects. 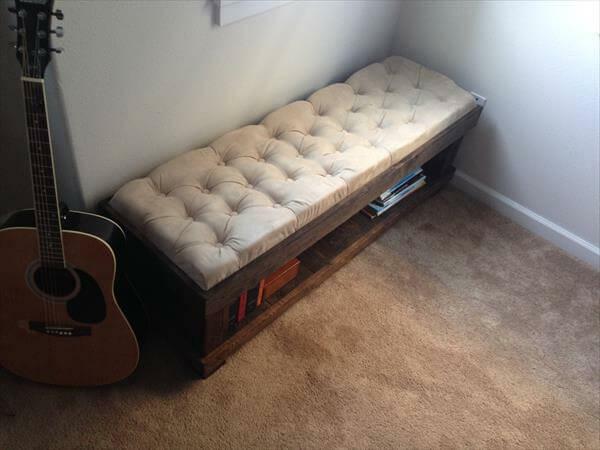 Tufting has been done by using staples and we have assembled it with wood screws. Make this really gorgeous DIY pallet craft duplicated on a very friendly budget plan and add your personal preferences to get it modernized on modern sculpts.